The Panoramic View: The Hudson and the Thames, is currently on view through May 19, 2013 at the Hudson River Museum in Yonkers, NY. From London to New York, The Panoramic River: the Hudson and the Thames shows new ways of seeing the two iconic rivers ─ the Hudson, America’s “first river” and England’s ancient Thames. In the late 18th century, British artists developed the large-scale panorama, all-encompassing bird’s-eye views of the rivers and their lands that made humans seem the center of the universe. Popular planetarium visions for the 19th century audience, they are the roots of today’s big screen immersive film experiences. By the early 19th century, painters such as Robert Havell Jr., who emigrated from London to New York, exemplify the influx of English artists who influenced a shared Anglo-American panoramic vocabulary as well as the evolution of American landscape painting. 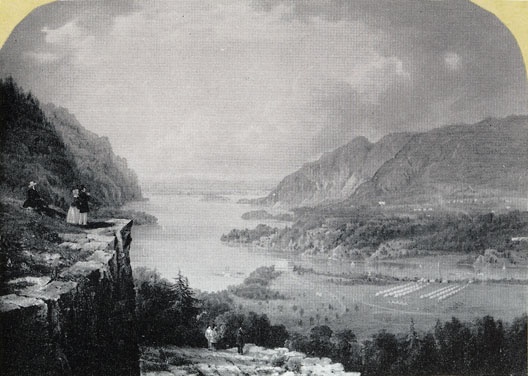 Havell’s work, (who also created many of the landscapes for Audubon’s famous birds) includes panoramic publications and paintings of the Hudson River and the Thames like other artists in this exhibition such as Thomas Cole (Father of the Hudson River School), and noted artists Jasper Cropsey and John Kensett, who favored the chain of cities, suburbs, and countryside along these two rivers, where horizontal planes and historical associations gave form to both artistic and cultural expression. The Panoramic River features major loans from more than two dozen museums, galleries, and private collections. Museums lending paintings include: The Metropolitan Museum of Art; The New-York Historical Society; Museum of Fine Arts, Boston; Baltimore Museum of Art; Yale Center for British Art; The Frances Lehman Loeb Art Center at Vassar College; Maryland State Archives; Morgan Library & Museum, Williams College Museum of Art; and Princeton University Art Museum. The Panoramic River, organized by Hudson River Museum, is co-curated by Bartholomew Bland, Director of Curatorial Affairs and Laura Vookles, Chief Curator of Collections. The exhibition is accompanied by a fully illustrated catalogue with additional essays by Pat Hardy, Curator of Paintings, Prints and Drawings, Museum of London and Geoff Snell, Doctoral Student, University of Sussex and the National Maritime Museum, Greenwich, England. Wed- Sun, 12-5 pm. Fridays, 12 to 8 pm (July 1 to Sept 7). Museum $5 adults, $3 seniors & youth 5-16. Children under 4, free. Members Free. This spring, the Columbia Museum of Art presents a small, but luxurious exhibition, Picasso: Master Prints, featuring some of the artist’s greatest prints. The installation opened April 16 and is on view through August 11, 2013. Picasso: Master Prints showcases etchings, lithographs and pochoirs by Pablo Picasso, the most influential artist of the 20th century. Best known as the inventor of Cubism, Picasso was prolific in still life, figurative art, and mythological scenes, all of which are featured in this exhibition. No matter what kind of print he was making or what the subject matter was, Picasso brought an extraordinary level of innovation and expertise to the art of printmaking, making every work in this exhibition a master print. Fourteen of the prints in this exhibition are on loan to the CMA from the Weatherspoon Art Museum in Greensboro, NC. 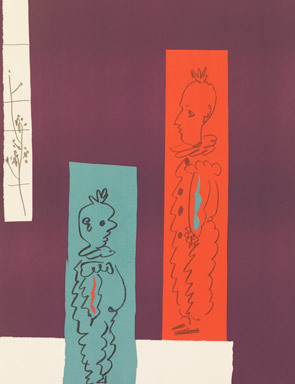 Picasso sold these prints directly to his friends and active art collectors, Etta and Claribel Cone. In turn, the famous Cone sisters gave them to the Weatherspoon Museum. This selection includes a set of 10 color pochoirs (stencils) made in the early 1920s. The set of pochoirs in Master Prints was published by Picasso’s dealer of that time, Paul Rosenberg. Picasso’s images were inspired by his work for the famous Ballets Russe (Russian Ballet) and the Commedia dell’Arte, a 16th century form of Italian theatre characterized by masks. Themes from these two theatrical sources made their way into the prints through the characters of Harlequin (a clown) and Pulcinella (the ancestor of Punch). Visitors will also see the guitar—the instrument of the wandering troubadour—reconfigured by way of Cubism. The Coiffure of 1923. 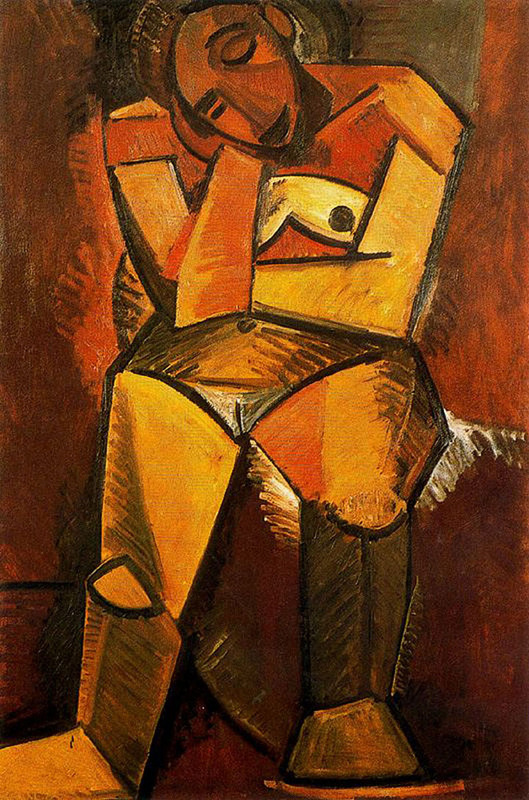 In his neoclassical style, Picasso transforms the visual solidity of Greek sculpture into minimalist modern lines. Though this image is small in scale and the artist uses almost no detail, a sense of classical grandeur is realized by positioning the figures in a pyramid. A selection of prints from Picasso’s most popular folio of etchings, The Vollard Suite, produced from 1900–1937, is also on view in this exhibition. These prints were made when Picasso was involved in a passionate affair with his muse and model, Marie-Thèrese Walter, whose classical features are a recurrent presence in the series. They offer an ongoing process of change and metamorphosis that eludes any final resolution. 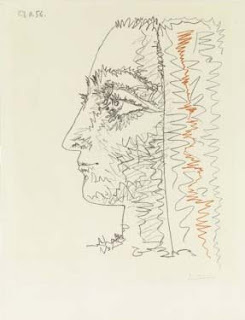 Picasso Master Prints was on display at the Cincinnati Art Museum from December 17th, 2011 through May 13th, 2012. Pablo Picasso, Pierrot and Harlequin on a Café Terrace, c. 1922 stencil on paper, ed 29/100, 8 ¼ x 10 ½ inches. Following the presentation in Russia of the exhibition The Prado in the Hermitage (State Hermitage Museum, Saint Petersburg, 25 February to 29 May 2011), which saw the highest visitor numbers of any exhibition held at that museum (more than 630,000), Spain welcomed The Hermitage in the Prado (Museo Nacional del Prado, Madrid, 8 November 2011 to 25 March 2012). Comprising 179 works from the Hermitage’s celebrated collections of paintings, drawings and sculptures in addition to a large and remarkable groups of archaeological items, examples of the decorative arts, furniture and court dress, The Hermitage in the Prado marked the conclusion of a unique exchange of collections between these two great museums that are not only of equal importance but have similar origins as repositories of the former royal collections of their respective countries. As was the case with the exhibition of works from the Prado held in Saint Petersburg earlier this year, this exhibition offered visitors the chance to see one museum inside another given that it included not only many of the Hermitage’s most famous works of art and archaeological items but also objects that relate to the Museum’s own history. With this aim in mind the exhibition opened with portraits of Peter the Great, Catherine the Great and Nicholas I and with paintings of the interiors of the Winter Palace and its surrounding area. and Haman accepts his Fate. 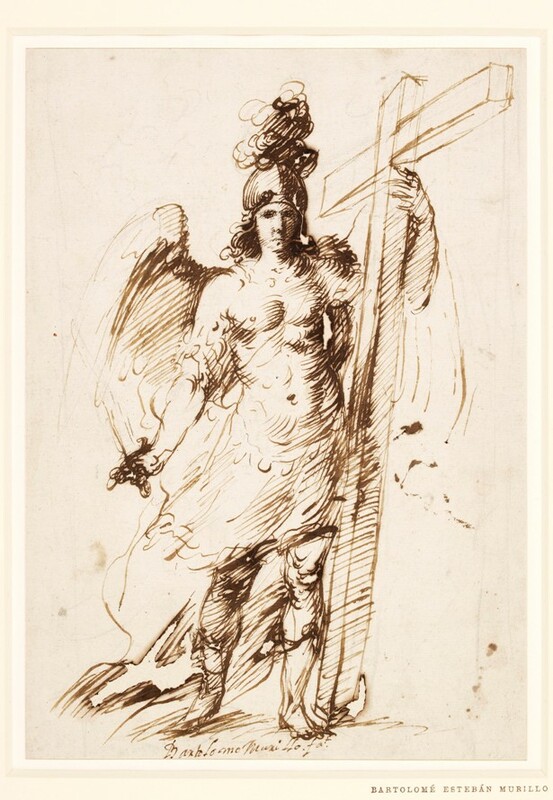 Among the drawings on display were works by Dürer, Rubens, Watteau and Ingres, while sculptures include the terracotta model by Bernini for The Ecstasy of Saint Theresa, and The Penitent Magdalen, one of Antonio Canova’s masterpieces in marble. and Malevich’s enigmatic Black Square. Arranged chronologically, the 71 drawings will allow visitors to appreciate the way Spanish artists expressed their commitment to the medium of drawing over a period spanning more than three hundred years, from the mid-16th century to the 19th century. The exhibition includes drawings by all the most important artists of this period including Velázquez, Murillo, Zurbarán, Ribera and Goya, represented through some of their key works. Drawings by Spanish artists were highly esteemed and collected in Great Britain from the mid-19th century onwards, reflecting the growing taste for Spanish art in that country which was encouraged by the publication of the two volumes of the Handbook for Travellers in Spain by Richard Ford (1845) and Annals of the Artists of Spain by William Stirling Maxwell (1848). It was traditionally considered that Spanish artists were not particularly interested in drawing. This idea has, however, been revised in recent years and the present exhibition aims to demonstrate that the notion of drawing as a basis for the practice of art was well established in Spain from the Renaissance to the 19th century. The 71 drawings in the exhibition are complemented by two paintings from the Prado’s collection for which the preparatory drawings are in London. The presence of these two oils by Vicente Carducho and Luis Paret allows for a reflection on the role of preparatory drawings in the final work. The exhibition opens with the oldest drawings by 16th-century Spanish artists working in Castile, including Alonso Berruguete. This section also explores the repercussion on Spanish drawing of the presence of foreign artists in the country, primarily Italians, who were working on the decoration of the monastery at El Escorial. Among them was Pellegrino Tibaldi, represented here by one of the most outstanding architectural drawings of the 16th century, Study for the Decoration of the Library at El Escorial. This section continues with the work of some of the most important 17th-century artists active in the different regions of Spain, which were independent artistic centres. They include Vicente Carducho, Alonso Cano and Francisco Rizi in Madrid; Francisco Pacheco, Murillo and Zurbarán in Seville; Juan Ribalta in Valencia and José de Ribera in Naples. 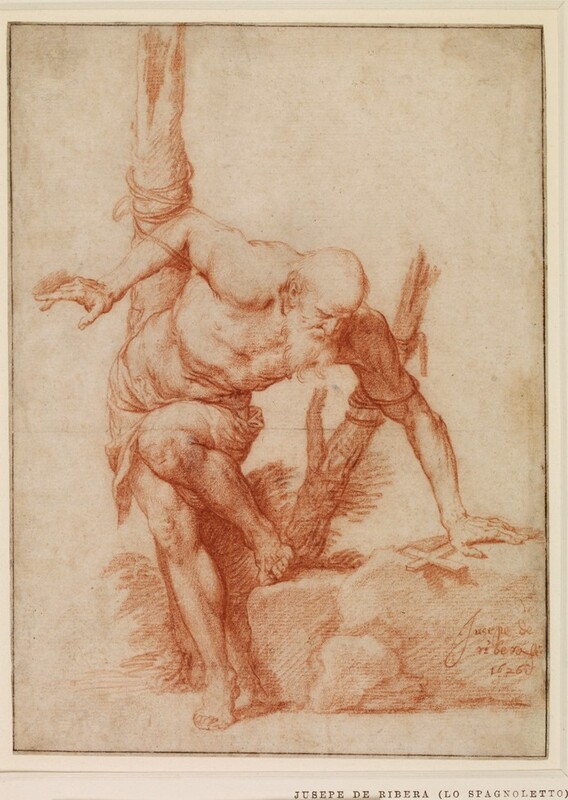 All represent the great burgeoning of drawing that took place in the Golden Age, of which outstanding examples are The Dwarf Miguelito by Rizi, The Archangel Michael by Murillo, A miraculous healing by a Saint attributed to Ribalta and Tityus (or Prometheus) by Ribera. From the 18th century the exhibition includes key works by Luis Paret (Masked Ball at the Teatro del Príncipe) and by José Camarón (Oriental Woman under an Awning) as well as drawings by other masters of this period, demonstrating artists’ increasing use of the medium at this period in response to international trends and influences. The exhibition concludes with the work of Francisco de Goya, who permanently changed the context of Spanish art and contributed to making the country one of the leading artistic centres in Europe. Goya’s drawings explore the imagination, beliefs and human conduct. Eight works that span his entire career and have never previously been seen in Spain (including the magnificent drawing of Arthur Wellesley, 1st Duke of Wellington) reveal his incomparable versatility as a draughtsman and the variety of subjects that attracted his interest. The accompanying catalogue analyses the works on display in the individual entries and also includes a brief history of drawing in Spain from the 16th to the 19th century in the form of five introductory texts to the entries: “The introduction of graphic practices: Castile 1500-1600”; “Madrid, artistic capital 1600-1700”; “Andalusia 1550-1700”; “The drawing in Valencia 1500-1700. Ribera in Naples”; and “The 18th century and Francisco de Goya”. The catalogue also includes an introductory essay that offers a general analysis of Spanish drawing with a focus on its critical fortunes, origins and distinctive characteristics, concluding with the history of the Spanish drawings collection in the British Museum. All the texts are written by Mark McDonald, the exhibition’s curator and the curator of the British Museum’s collection of Spanish drawings. Besides Maximilian's tomb at the Hofkirche in Innsbruck and the monumental Triumphal Arch, the Triumphal Procession is the largest and most important of his commissions: following the model of ancient triumphal processions, it presents musicians, hunters, banner carriers, artillery, magnificent imperial carriages, soldiers, knights and princes, statues of Maximilian’s Habsburg ancestors, his wedding to Mary of Burgundy and his wars. The Triumphal Procession thus reflects the most important persons and events of Maximilian’s life and, like the other major projects, was intended to serve his eternal memory and the glory of the House of Habsburg. This work was once composed of 109 large-sized sheets, out of which numbers 49 to 109, as well as the author’s sheet, have survived and all of which still show their original brilliant colours; put together, these body-colour paintings amount to more than fifty metres in length. They were last presented publicly in 1959 on the occasion of the Albertina’s exhibition honouring the 500th anniversary of Maximilian’s birthday – reason enough to not only present them again in their entirety and on a large scale, but also to reassess them from a scientific point of view. The subsequent translation of the Triumphal Procession into the woodcut medium by Hans Burgkmair, Albrecht Altdorfer, and their workshops illustrates the work’s multiple-stage realization, which the emperor requested for almost all of his commissions. In terms of both form and idea, the Triumphal Procession and the monumental woodcut of the Triumphal Arch, which will also be on display in the exhibition, as well as the book projects Theuerdank, Weißkunig, and Freydal, are all intrinsically related to one another, since all of them treat the ever-recurring core themes of Maximilian’s life: his noble lineage, his extraordinary talents, his devoutness, and his military glory. Another section of the exhibition will be devoted to knighthood and the Order of St George; further focal points will deal with the emperor’s interest in genealogy, the reception of antiquity, and humanism. In addition to important works from the holdings of the Albertina, many international lenders are contributing to the exhibition including the Kupferstichkabinett in Berlin, the British Museum in London and the Metropolitan Museum of Art New York. BBy arranging for the marriage of his son Maximilian to Mary of Burgundy, Emperor Frederick III laid the foundation for the rise of the Habsburgs. Maximilian in turn succeeded in expanding the Habsburg family’s sphere of influence to large parts of Europe. In wedding his children and grandchildren to the Spanish, Bohemian, and Hungarian heirs apparent, Maximilian established a Habsburg power base that reached far beyond the borders of the Holy Roman Empire. This wise marriage policy is referred to in the well-known saying »Let others wage war, but thou, O happy Austria, marry; for those kingdoms which Mars gives to others, Venus gives to thee«. This expansion of the House of Habsburg was not only aimed at strengthening the Empire, but was first and foremost beneficial to the Habsburg dynasty as such. Yet since the emperor’s influence on imperial policymaking essentially depended on his support base at home, his position within the Empire was bolstered by the Habsburg gains in territory in Burgundy, the Netherlands, Spain, Bohemia, and Hungary, all of which were rich in resources. Maximilian’s grandson, Emperor Charles V, once more enlarged the Habsburg dominion by adding parts of South America, thus governing an empire »upon which the sun never sets«. Under Emperor Maximilian I and his successor, Charles V, the Habsburgs rapidly rose to become Europe’s leading dynasty for the next four centuries. Internal political matters and wars in the Netherlands and Hungary and against France and Venice forced Maximilian to constantly travel around with his entourage. Hence he never established a permanent residence; nevertheless, Innsbruck became one of his favourite retreats and thus saw a heyday under Maximilian. It was also the place where Bianca Maria Sforza, Maximilian’s second wife, spent many years of their marriage. The first member of the House of Habsburg to become emperor was Maximilian’s father, Frederick III. In 1508, fifteen years after the latter’s death, and with the assent of Pope Julius II, Maximilian I proclaimed himself »Elected Holy Roman Emperor«. A sovereign coming from a relatively young dynasty, Maximilian sought to glorify his descent in order to distinguish himself from rival ruling houses. A venerable lineage was to anchor his position in history and present him as the heir of a splendid past. He enhanced his line of ancestors with antique roots reaching back to the Greek hero Hector or the Roman emperor Julius Caesar. Maximilian’s genealogical trees even contain progenitors from the Old Testament, such as Noah, or pious saints like Margrave Leopold from the House of Babenberg. In this way, Maximilian endowed himself with such noble virtues as piety, humbleness, resolve, and courage, which were assured by legendary forefathers. Such imaginary ancestors as King Arthur conferred upon Maximilian virtues like chivalry and justice. Maximilian also claimed Charlemagne as one of his ancestors, since this enabled him to deduce the legitimacy of his own position as imperial sovereign from the first post-Roman emperor. Such fantastic constructions designated the emperor as the embodiment of a virtuous Christian hero: the First Knight of the Empire! TThe first member of the House of Habsburg to become emperor was Maximilian’s father, Frederick III. In 1508, fifteen years after the latter’s death, and with the assent of Pope Julius II, Maximilian I proclaimed himself »Elected Holy Roman Emperor«. A sovereign coming from a relatively young dynasty, Maximilian sought to glorify his descent in order to distinguish himself from rival ruling houses. A venerable lineage was to anchor his position in history and present him as the heir of a splendid past. Humanism was the most important intellectual movement during the Renaissance and spread across all of Europe in the sixteenth century. Based on classical thought, humanism designed an ideal image of man, whose personality was to evolve freely through universal education: man became the measure of all things. At the turn of the sixteenth century, discoveries and scientific research also led to new insights that paved the way for the future. The heliocentric system took the upper hand thanks to Nicolaus Copernicus, and Christopher Columbus discovered America in 1492. The dissemination of humanist ideas was facilitated by the invention of the printing press around the middle of the fifteenth century. Works by classical and medieval authors were not only translated, but they were also made accessible to the educated through printed books. Broadsheets illustrated with woodcuts also played an important role in the spread of humanist teachings. To Emperor Maximilian, humanist ideals and ideas were of interest insofar as he was able to exploit them for his own ends. These involved historical and ancestry research, but also astronomy and cartography, which were not irrelevant in warfare. 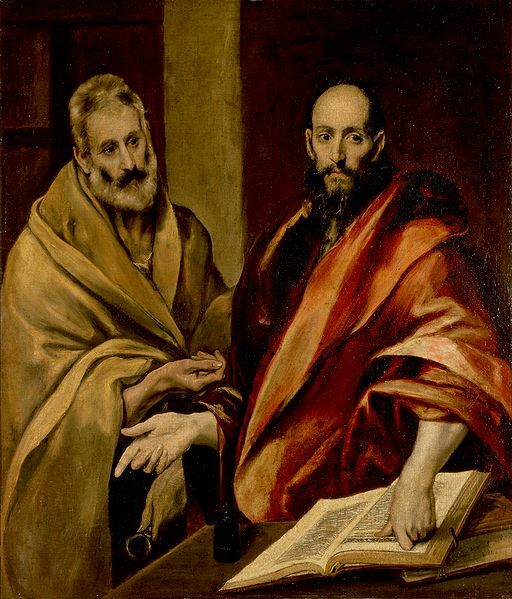 Several humanists in Maximilian’s entourage devised concepts for the prestigious projects to be realized in his memory and supervised the artistic execution of these comprehensive works meant to immortalize his fame. Maximilian was one of the promoters of the University of Vienna. It accommodated the »College of Poets«, which had been founded by him in 1501 and one of whose scholars was the »arch-humanist« Conrad Celtes. IIn ancient Rome, victorious military leaders marched to the Capitol in a triumphal procession, where offerings were made and celebrations held for the troops and the populace. Through literary descriptions by humanist authors and pictorial representations of the Italian Renaissance, the classical motif of the triumphal procession also regained its topicality north of the Alps. In 1512 Maximilian I commissioned Albrecht Altdorfer to paint a glorious Triumphal Procession on vellum, which originally was more than 100 metres long. Maximilian had already devoted himself to the theme of the triumphal chariot five years earlier. In 1518 Albrecht Dürer designed the Great Triumphal Chariot in the form of a monumental drawing showing the emperor and his family riding in an elaborately decorated coach. This work was later reproduced as a woodcut. The historical and iconographic foundation for such works derived from schemes conceived by Maximilian’s humanist advisors. Models from ancient times, with their classical iconography meant to elevate rulers, were translated into the period around 1500, with a focus on the emperor’s personality. A triumphal procession such as that painted by Altdorfer never took place in reality. And a triumphal chariot such as that drawn by Dürer was never built for the emperor. Maximilian’s Triumphal Procession, his Great Triumphal Chariot, and his printed Arch of Honor, which was three metres high, were merely realized as images serving as propaganda and for the emperor’s glorification. Thanks to the modern reproduction medium of woodcut, it was possible to print and disseminate them in large editions. A master of self-stylization, Maximilian created a complex image of himself as a ruler. But it was not only the competent politician and brave military leader, who himself courageously and resolvedly fought in the front line of the battlefield, that was to be glorified. The »ideal ruler« was just as adroit when it came to jousting, hunting, rhetoric, and courtly love. He also possessed a medieval knight’s virtues, which were indispensable for good government. Many of the works of art Maximilian I commissioned deal with these knightly virtues. Unlike the Medici, for example, he was neither a patron nor a collector: his artistic interest was always directed at a mise-en-scène of his person and the commemoration of his life and deeds. His literary and autobiographic book projects – such as the jousting book Freydal, the adventure epic Theuerdank, and the family chronicle Weißkunig – portray the sovereign as a hero excelling in all disciplines. The carriages filled with treasures in his Triumphal Procession and precious works of gold were intended to celebrate the emperor’s immeasurable riches. In this respect, however, the emperor’s panegyrical self-portrayal was far removed from the harsh reality of a permanent shortage of financial means. Maximilian’s imperial household, the wars he led, and the works of art he commissioned to glorify his person and governance were financed by loans granted him by Jakob Fugger in exchange for land, privileges, and ennoblement. The sovereign’s depiction in diverse roles – such as one of the Three Magi or as Saint George – is an expression of his constant efforts to transfigure his personality. 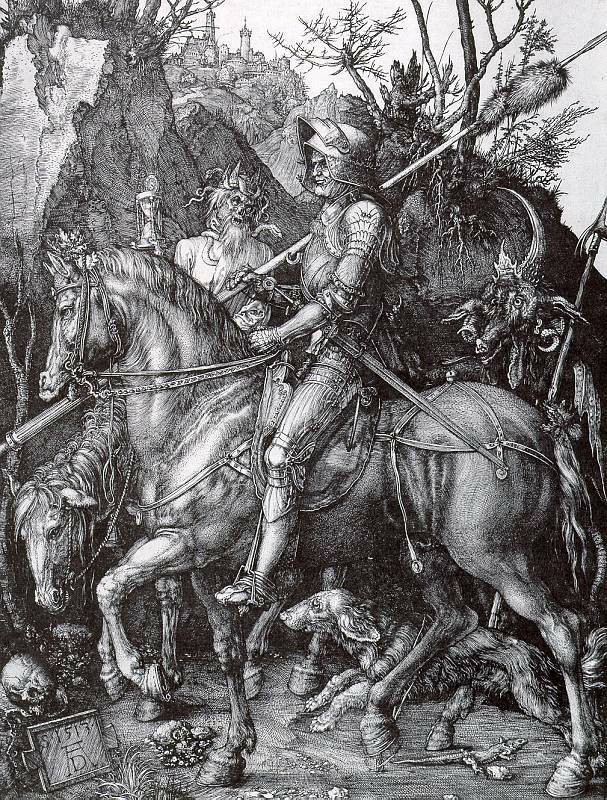 Maximilian’s real image is conveyed to us in the form of Albrecht Dürer’s powerful drawing from 1518. Distributed in an edition of several hundred impressions through the medium of woodcut, it continues to shape our idea of the emperor’s appearance. That Maximilian did not die prematurely on the battlefield, in a jousting tournament, or during a hunt is almost miraculous. There are numerous testaments to his courageous personal participation in battles and intervention in dangerous situations of all kinds. This contributed to Maximilian’s image of the »last knight«, which took shape in the period of Romanticism. Indeed, knightly virtues played an important role in the emperor’s life – a role that was best personified by Saint George, the patron saint of the Crusaders. Maximilian particularly supported the Order of Saint George, established by his father, Emperor Frederick III. In 1493, Maximilian founded the Brotherhood of Saint George, which was to raise funds for the campaign against the Ottoman Empire. Yet Maximilian did not achieve his goal of expelling the Turks from Europe. If the emperor had himself depicted as the Christian victor over the dragon, it was in order to at least fight his crusade symbolically on paper, since financial restraints had kept him from launching a real one. An excellent jouster, Maximilian personified the fading ideal of Burgundian knighthood. It is not a coincidence that the art of making plate armour was in its heyday at the turn of the sixteenth century: Maximilian, who had a passion for tournaments, was also a major patron in this field. In reality, however, Emperor Maximilian was a far-sighted sovereign and military leader who commanded the most modern artillery of his period and overran his opponents with a powerful infantry of lansquenets, with Maximilian himself fighting as a foot soldier on the front line. Emperor Maximilian did his utmost to live on in the memory of posterity. This primary goal of his culminated in a tomb he started planning in 1502 and which, according to the original concept, was to comprise nearly 200 bronze sculptures. The most renowned artists of the period were engaged to work on this memorial monument. Besides Saint Stephen’s Cathedral in Vienna or the Chapel of Saint George in Wiener Neustadt, Maximilian considered an abbey consecrated to Saint George on Mount Falkenstein near Lake Wolfgang as a suitable site. This memorial was only installed fifty years after the emperor’s death, under his grandson Ferdinand I, in the Innsbruck Court Church. But Maximilian’s ancestors – the monumental »Schwarze Mander« (Black Men) – guard an empty tomb. Maximilian’s mortal remains are interred in front of the altar in the chapel in which he was baptized – the Chapel of Saint George in Wiener Neustadt Castle. For the preservation of his memory, Maximilian preferentially made use of the technique of woodcut, in terms of both text and image. This is most impressively demonstrated by his Arch of Honor, the largest woodcut produced in the age of Dürer: combining battles, historical events, ancestors, and the emperor’s family tree, it is another mise-en-scène of Maximilian’s role as emperor. »He who does not provide for his memory while he lives, will not be remembered after his death, so that this person will be forgotten when the bell tolls. And hence the money I spend for my memory will not be lost.« With these words, Maximilian sought to justify the funds spent for immortalizing his life and deeds. This striving for posthumous fame was in stark contrast to how the emperor’s life actually ended. He died in 1519, conscious of great guilt and driven by a fear of God’s judgement. During his last years, he had his coffin carried along wherever he went. Having received the Extreme Unction, he abdicated all of his titles and ordered that his teeth be broken off and his hair be shorn after his death as a sign of humility. 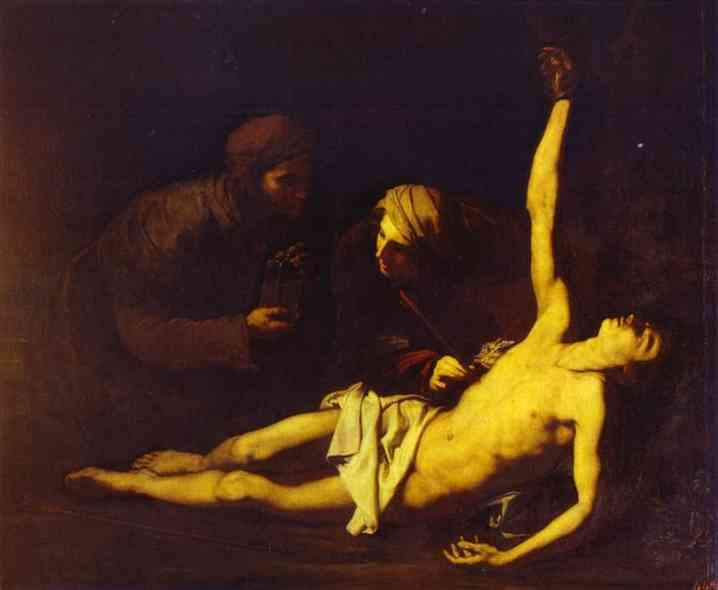 His dead body was to be scourged in order to purge him of all guilt. However, the works of art Maximilian I left behind confirm his earlier prognosis that the money spent for his commemoration and fame would not be in vain. The powerful visual language of the works he commissioned has ensured that Emperor Maximilian still remains unforgotten. Maximilian was born in Wiener Neustadt on 22 March 1459, the son of Emperor Frederick III and his consort, Eleanor of Portugal. 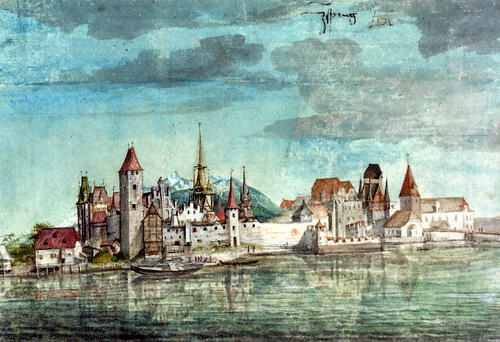 In 1462 Maximilian witnessed how his family was besieged at the imperial castle in Vienna by his uncle Albrecht. Although Frederick rose to power after Albrecht’s death, Vienna was conquered by Matthias Corvinus, King of Hungary, in 1485 and became Hungary’s capital for the next five years. For these reasons Maximilian avoided Vienna throughout his life, preferring Innsbruck, Wiener Neustadt, Graz, Wels, and other towns as temporary residences. After the death of Charles the Bold, Duke of Burgundy, in 1477, his daughter Mary (1475–1482) inherited his rich dominions. That same year she married Maximilian, who thus became Duke of Burgundy. They had two children, Philip (1478–1506) and Margaret (1480–1530). When Mary of Burgundy died prematurely, Maximilian – or rather his son Philip – came into possession of the Low Countries and the Duchy of Burgundy. King Louis XI of France sought to reconquer formerly French territories, but Maximilian could defend large parts of his Burgundian inheritance. In 1490 Archduke Sigismund abdicated his rulership of Tyrol, Further Austria, and the Habsburg homelands in the region around Lake Constance in favour of Maximilian, under whom the castle of Innsbruck was transformed into an imperial residence. In 1493 Maximilian succeeded his father as King of the Romans and regent of the Archduchy of Austria. In 1494 Maximilian married Bianca Maria Sforza, who was beneath his rank, but brought him an immense dowry, which he urgently needed to settle his debts. In return, Maximilian bestowed the fiefdom of the Duchy of Milan upon her uncle Ludovico Sforza, called »il Moro«. Bianca died in Innsbruck in 1510. In 1495, at the Diet of Worms, Maximilian decreed the empire’s administrative reform. It was the first time that a general tax – the »Common Penny« – was introduced. Maximilian also established the so-called »Imperial Chamber Court«, which was to put an end to medieval feuds. In 1496 Maximilian wed his son Philip the Handsome to Joanna of Aragon and Castile, and at the same time married his daughter Margaret to Joanna’s brother John, the Spanish heir apparent. Through this double alliance and after John’s premature death, the Habsburgs came into possession of the Spanish crown. Philip and Joanna’s son, the future Emperor Charles V (1500–1558), was to govern Spain and an empire »upon which the sun never set«. In 1508 Maximilian declared himself »Elected Holy Roman Emperor«. This proclamation could not take place in Rome, as was customary, but – with the assent of Pope Julius II – was held in Trento, because Maximilian’s adversary Venice refused him passage to Rome. The emperor’s powers as such were limited, but his domestic support base and the emperor’s moral superiority over other royal houses in Europe were crucial advantages. Since the 1480s, the Augsburg banker Jakob Fugger had been Maximilian’s most important financial backer. Out of gratefulness for his political support, Maximilian ennobled him in 1511. During the first and second decades of the sixteenth century, Emperor Maximilian commissioned comprehensive works of art in order to glorify his person and government. Maximilian himself had been working on various plans for his tomb since 1502. In 1512, Albrecht Altdorfer began to paint the Triumphal Procession, which was one hundred metres long. In 1515, Albrecht Dürer completed the monumental Arch of Honor. And in 1518, Dürer portrayed the emperor at the Diet of Augsburg. In 1515 the »Double Wedding of Vienna«, which ultimately turned out to be highly advantageous, sealed the dual alliance Emperor Maximilian had arranged for his grandchildren, Ferdinand and Mary, who were married to the children of the King of Bohemia and Hungary. Through Maximilian’s wise dynastic marriage policy, the House of Habsburg obtained Burgundy along with the rich Netherlands, as well as Spain, Hungary, and Bohemia, within a period of three decades. Maximilian died in Wels on 12 January 1519. According to his wishes, he was buried in the Chapel of Saint George in Wiener Neustadt Castle, where he had once been baptized. Maximilian’s tomb, with its larger-than-life bronze figures, was unfinished at his death. On the initiative of his grandson, Emperor Ferdinand I, it was completed in 1585 and installed as a cenotaph in the Innsbruck Court Church, which had specially been built to accommodate this empty sepulchre. The Städel Museum, Frankfurt, in cooperation with the Gemäldegalerie der Staatlichen Museen zu Berlin, dedicated a major exhibition, 21 November 2008 – 22 February 2009, to Robert Campin, the “Master of Flémalle,” and Rogier van der Weyden – a presentation focusing on the still unresolved issues concerning the “ars nova,” that revolutionary new painting emerging in the Burgundian Netherlands, which, with its truthful rendering of details of reality, marks the beginning of modern painting in the early fifteenth century. 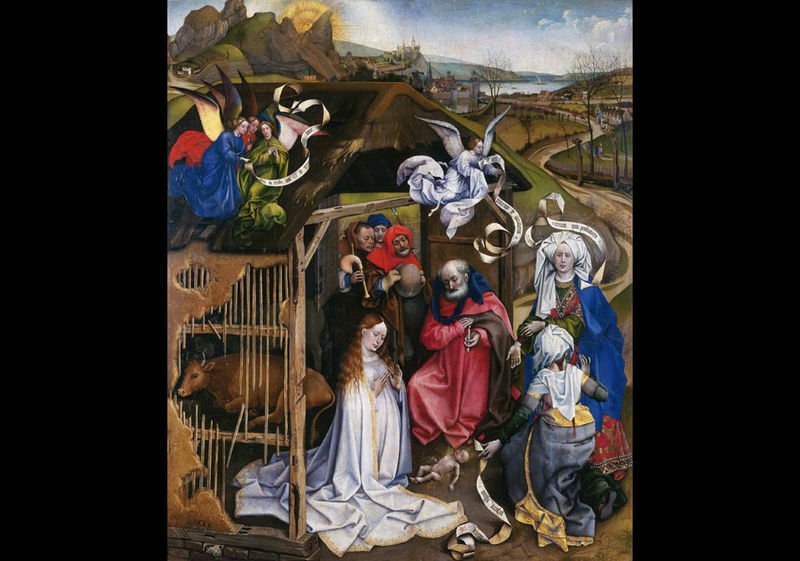 Besides the brothers Hubert and Jan van Eyck, the “Master of Flémalle,” often identified with the Tournai painter Robert Campin, and Rogier van der Weyden, who worked for him intermittently and later became “painter to the town of Brussels,” were of crucial importance for the birth and initial development of Early Netherlandish painting. They stand for the discovery of the visible world which they represented in hitherto unknown realistic detail thanks to the sophisticated new technique of oil painting. A precious brocade fabric or the tear on a mourning Madonna’s cheek, the signs of age in a woman’s face, or the snow-covered summits visible far on the horizon – the Dutch painters of the fifteenth century introduced motifs as worth including in a picture that had been unfamiliar in European painting before. As the imagination of that time was profoundly informed by religious notions, these details of the visible world depicted with delusive exactness were also used to hint at a transcendental world beyond the banal everyday reality. 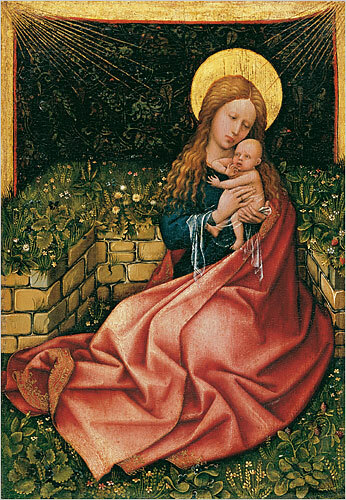 or the “Miraflores Altarpiece” in the Gemäldegalerie in Berlin belong to the most beautiful and popular works of late medieval art – both works were included in the exhibition in Frankfurt – there has been no monographic exhibition dedicated to the two painters and their oeuvres until today. However, a direct comparison of the two – particularly in matters of style – is of crucial importance in this case. 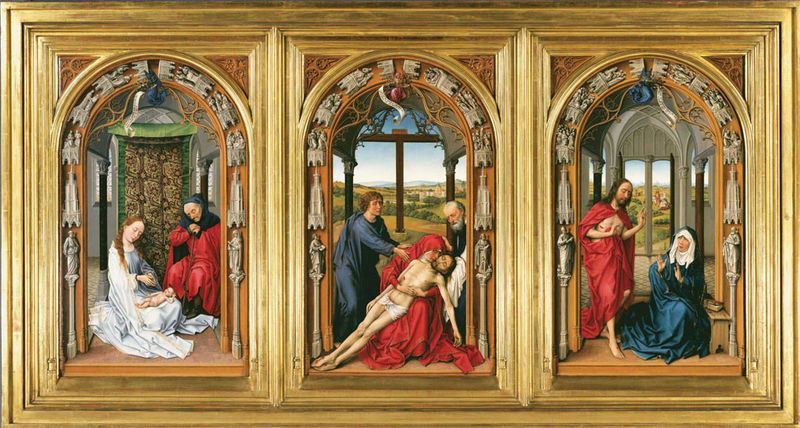 For the identification of the Master of Flémalle with Robert Campin is still as controversial as the drawing of a clear dividing line between the former’s oeuvre and Rogier van der Weyden’s. Four monumental volumes on the two artists, arriving at partly radically divergent conclusions, have been published only in recent years. Under these circumstances, an exhibition that brought together the two artists’ oeuvres, presenting some of their works together for the first time since centuries, offered a splendid opportunity to make persuasive proposals for a solution based on direct comparisons. About fifty masterpieces by the two artists were assembled in the exhibition “The Master of Flémalle and Rogier van der Weyden. 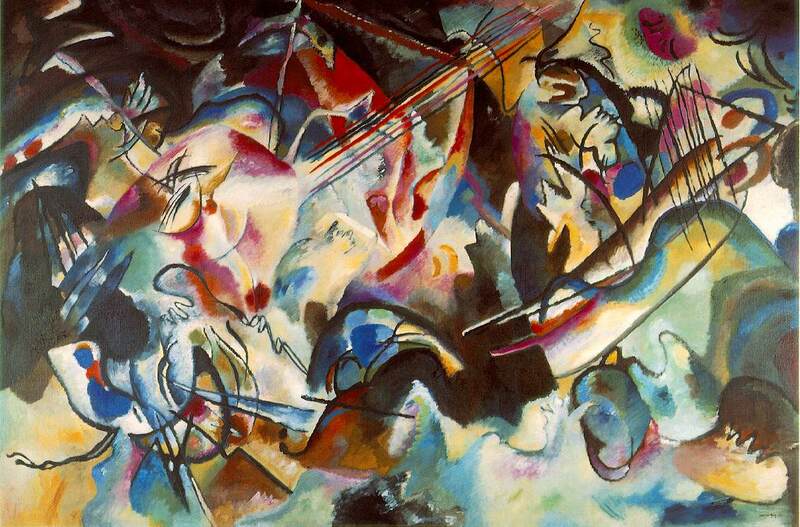 The Birth of Modern Painting.” They came from the most outstanding museums of the world such as the Museum voor Schone Kunsten in Antwerp, the Gemäldegalerie in Berlin, the Groeningemuseum in Brugges, the Art Institute of Chicago, the Cleveland Museum of Art, the Musée des Beaux-Arts in Dijon, the Museum der bildenden Künste Leipzig, the Museu Calouste Gulbenkian in Lisbon, the National Gallery in London, the J. Paul Getty Museum in Los Angeles, the Museo del Prado in Madrid, the Museo Thyssen-Bornemisza in Madrid, the Metropolitan Museum of Art in New York, the Musée du Louvre in Paris, the State Hermitage Museum in St. Petersburg, the National Gallery of Art in Washington, and the Kunsthistorisches Museum in Vienna. 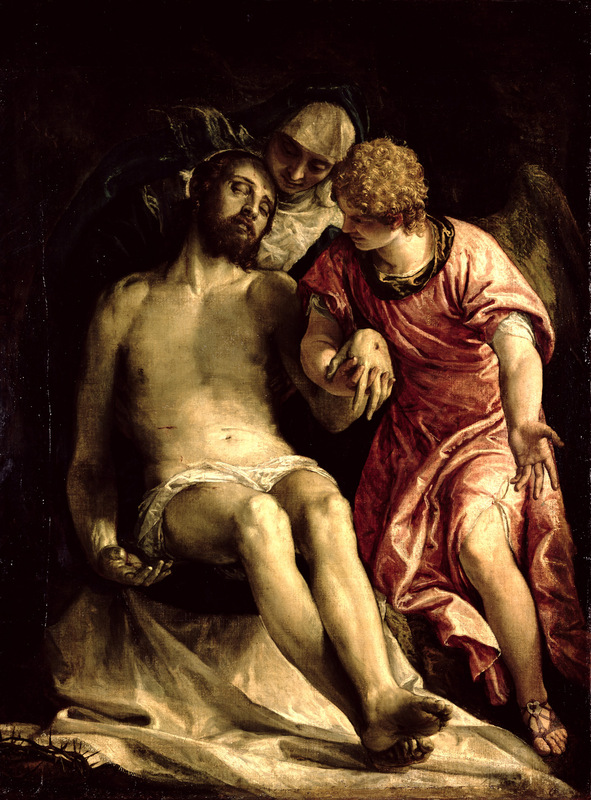 For the Städel Museum, which possesses one of the most significant collections of Early Netherlandish painting itself, this exhibition represented a landmark for the research in this field, which has been intensely pursued at the institution for many years. An exhibition of the Städel Museum, Frankfurt, and the Gemäldegalerie der Staatlichen Museen zu Berlin. Catalogue: “The Master of Flémalle and Rogier van der Weyden. The Birth of Modern Painting,” edited by Stephan Kemperdick and Jochen Sander, preface by Max Hollein and Bernd W. Lindemann. With contributions by Gabriel Dette, Bastian Eclercy, Beatrix Graf, Stephan Kemperdick, Peter Klein, Antje- Fee Köllermann, and Jochen Sander. English and German editions, numerous illustrations in color, Hatje Cantz Verlag, Ostfildern 2008. 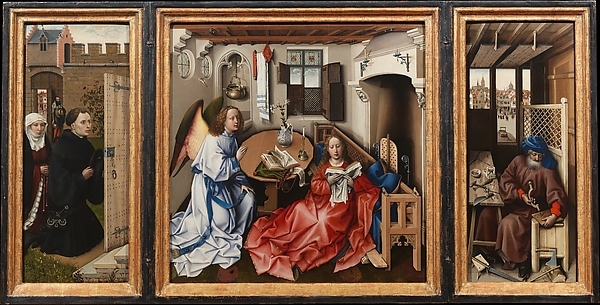 Rogier van der Weyden, Workshop, Annunciation Triptych (Center Panel).